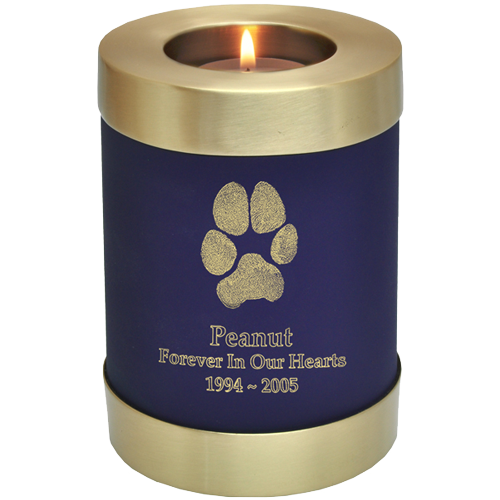 Remember your furry companion by lighting a votive candle on top of this charming keepsake with candle holder.Your pet's actual nose print is engraved onto the brass urn with a colorful lustre finish of your choice of five delightful hues. 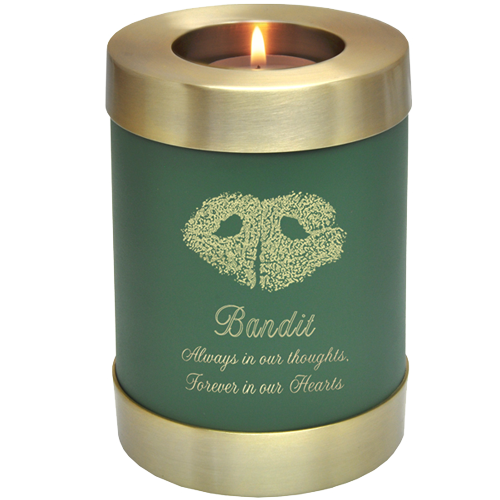 This urn keepsake looks amazing engraved with the contrasting brass showing through. 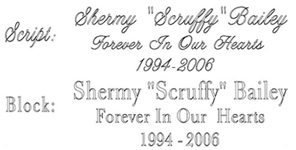 Symbols are smaller and simplified compared to clip art which is larger and more detailed. Please allow 1-3 business days to create from when nose print received.